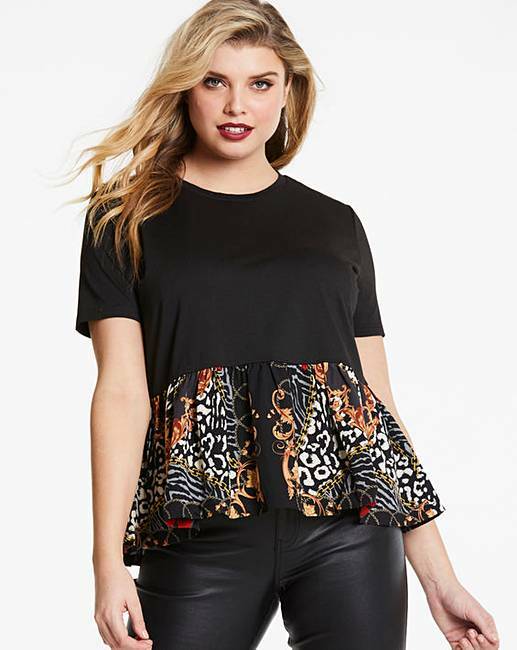 AX Paris Peplum Satin Chain Print Top is rated 2.0 out of 5 by 1. 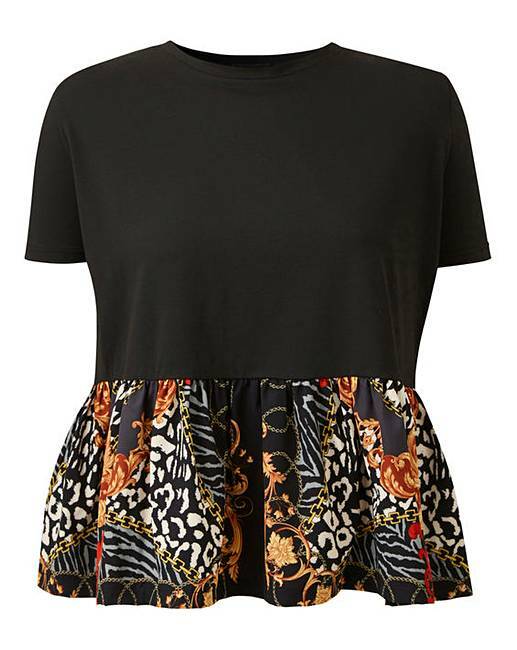 This super versatile top from AX Paris curve is a great fashion piece to add to this season's wardrobe. 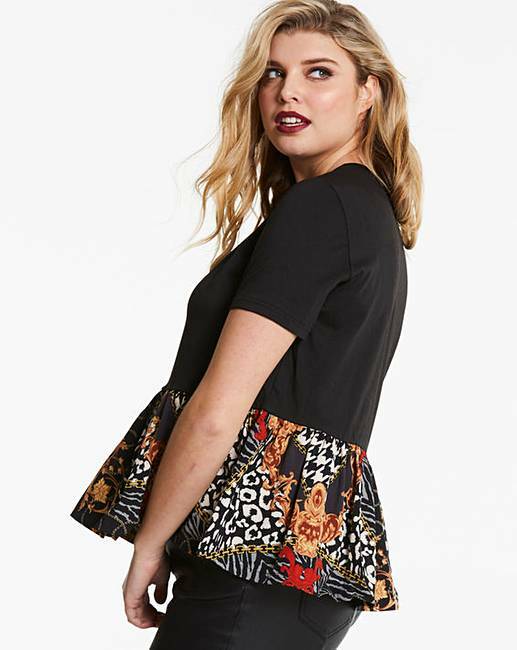 With a super comfortable jersey top and chain printed woven peplum hem this super cute day to night style looks great worn over some leather-look denims. 95% Polyester, 5% Elastane. Hem: Polyester.